Recent news that Mazda has filed a new patent for a triple-charged engine has created an air of excitement in the automotive industry. It’s not known at this time if Mazda has a specific vehicle design in mind for the triple-charged engine. Only time will tell if the triple-charged engine is utilized in a Mazda sports car. CardinaleWay Mazda Las Vegas, your favorite Las Vegas dealer, lauds Mazda for its innovative technology. This is what we know so far. The patent filing revealed that this new engine consists of twin turbochargers in addition to an electric supercharger. The supercharger is run by electricity and starts the engine, followed by a powerful boost of horsepower from the twin turbochargers. Interesting concept, and one that is intended for a rear-wheel drive vehicle. Currently, Mazda’s only rear-wheel drive is the Mazda Miata MX-5. It seems unlikely that the Miata would be outfitted with such a powerful engine. Therefore, folks are surmising that Mazda has another vehicle waiting in the wings that will be equipped with the triple-charged engine. Some are even going so far as to suggest an RX-8 successor. Obviously, Mazda is not going to tell us until they are good and ready. Until then, we’ll just have to keep guessing. When was the last time you looked at a brand new Mazda? Visit us at CardinaleWay Mazda Las Vegas and check out our extensive inventory. We’ve got all the latest Mazda vehicles, with new 2018 models expected to begin arriving shortly. Now is a great time for you to make a deal on an outgoing 2017 Mazda model. Ask our Sales team about our current specials. We encourage you to test drive any car on our lot that strikes your fancy. From the Mazda3 sports car to the Mazda CX-5 crossover SUV, we’ve got a vehicle for every lifestyle and budget. What are you waiting for? Drive home in a Mazda today. One of the most overlooked places that auto owners fail to clean is under their vehicle’s hood. That’s right, when was the last time you cleaned your car’s engine compartment? CardinaleWay Mazda Las Vegas, your Las Vegas dealer, explains how you can clean your vehicle’s engine. It only needs to be done once or twice a year and should only take you 15 or 20 minutes to complete the job. It’s time well-spent, when you consider that a clean engine means a cooler-running engine. You can help increase your vehicle’s longevity just by cleaning under the hood. DO start with a cold engine. DO use a broom or leaf blower to remove any loose debris under your vehicle’s hood. DON’T use a hose or power washer to spray water into your vehicle’s engine compartment. An abundance of water can harm electrical wiring and components. DON’T use any cleaning solvents that may be abrasive or harmful to your vehicle’s engine compartment. DO use a mild cleaning solution, such as Dawn dishwashing detergent diluted with water. 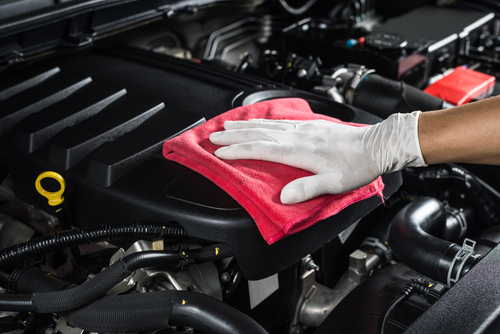 DO use soft rags or microfiber towels dampened with a cleaning solution to wipe down all surfaces in the engine compartment. DO inspect your vehicle’s battery and check for corrosion. Remove any corrosion with a wire brush or damp cloth. DO check all the fluid levels and add more if necessary. DO inspect belts and hoses for any signs of cracks, leaks or slippage. DO perform a visual check of electrical wiring and hoses to make sure rodents haven’t been sharpening their teeth on wires or hoses. For all your service needs, bring your vehicle to CardinaleWay Mazda Las Vegas. Our highly trained Service technicians will treat your car like their own. Let our Service department help you set up a routine for regular maintenance checkups. We want to assist you in keeping your vehicle running in great condition for years to come. Regular service can help prevent untimely and sometimes costly repairs down the road. The next time you’re in the market for a new vehicle, see us first. We’ve got an impressive selection of the latest Mazda models and Certified Preowned vehicles. There’s something here for everyone, from the Mazda3 sports car to the family-friendly three-row Mazda CX-9. It’s that time of year again! New automobile models for the year 2018 will begin arriving on dealership lots near you. CardinaleWay Mazda Las Vegas is excited to announce that the 2018 Mazda3 models are expected to arrive any day now. You’ll definitely want to check out the compact 2018 Mazda3, available in three trim levels (Sport, Touring and Grand Touring), with more standard features than ever before. It’s available as either a four-door sedan or the five-door hatchback. 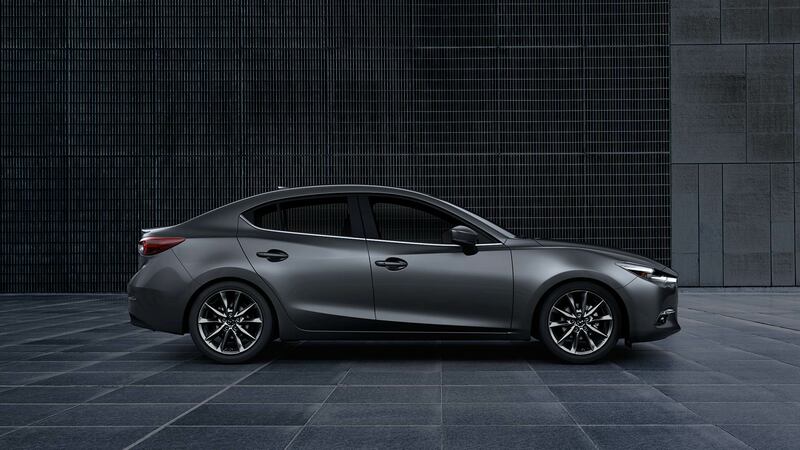 The basic trim level for the 2018 Mazda3 is the Sport, powered by a 2.0 liter SKYACTIV-G engine, and includes these standard features: push-button start, keyless entry, Mazda Connect infotainment center, power windows and side-view mirrors. For the Mazda3 Sport five-door hatchback, 16-inch alloy wheels are standard. If you opt for the mid-level Touring trim, your package includes power adjustable driver’s seat, leatherette seats and leather steering wheel, heated front seats, rain-sensing wipers, automatic climate control, keyless entry, automatic on/off headlights, moonroof and BOSE 9-speaker audio system. It’s powered by a 2.5 liter SKYACTIV-G engine. Standard safety features are Advanced Blind Spot Monitoring and Rear-Cross Traffic Alert. Grand Touring, the premium trim level, is powered by a 2.5 liter SKYACTIV-G engine. Standard features include Mazda’s Navigation system, leather seats, heated steering wheel and front seats, backup camera, LED lighting and the color Active Driving Display. The standard safety package includes Lane Keep Assist, Lane Departure Warning System, Smart Brake Support, Traffic Sign Recognition and Radar Cruise Control. It’s easier and more affordable than you think to drive home in a Mazda today. Come to CardinaleWay Mazda Las Vegas, your favorite Las Vegas dealer, and we’ll help you find the perfect Mazda vehicle. From the Mazda3 sports car to the Mazda Miata MX-5 convertible, we have an impressive selection for you to choose from. Say “yes” to a Mazda and discover how much fun driving can be! As its name implies, the BEST burrito here is the Super Burrito. No kidding, it is definitely SUPER, as in awesome, fantastic, marvelous and any other superlative that comes to mind. It’s huge and they don’t skimp on the delicious fillings! This Mexican restaurant has a great location in its favor, located on The Strip. Extremely popular, the lines are always long, but the delicious food is worth the wait. Try their Al Pastor Burrito and any of their yummy tacos. Bon appetit! If you want to dine out in style, we recommend the El Dorado Cantina. We love the fact that it’s open 24/7 for any time you have a craving for Mexican food! Vegetarians take note… our favorite burrito here is the Veggie Burrito, filled with all goodness of fresh vegetables and served with a side of rice. If you love a great Breakfast Burrito, this is the place to go. Every bite you take of their three-meat Breakfast Burrito is pure ecstasy. 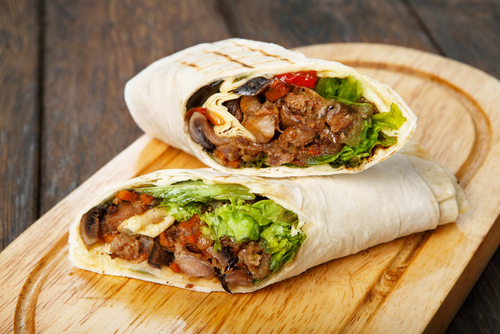 Runner-up is their California burrito – you pick the meat! They have a varied menu of all your favorite Mexican fare. Hands down, you’ll want to order the mouth-watering Al Pastor burrito. It’s incredibly delish, and will make you a regular of this authentic Mexican eatery. Honorable mention goes to the Carne Asada Burrito with a twist… beans and rice are included in the burrito. Their tacos are outstanding as well. After you’ve satisfied your Mexican food cravings, why not stop by CardinaleWay Mazda Las Vegas? Browse our selection of the BEST Mazda vehicles on the automotive market. From the popular 2017 Mazda CX-5 crossover SUV to the newly arrived 2018 Mazda3 sports car, we’ve got a car for every lifestyle and budget! Ask our Sales team about current specials and learn how easy it is to own a Mazda. 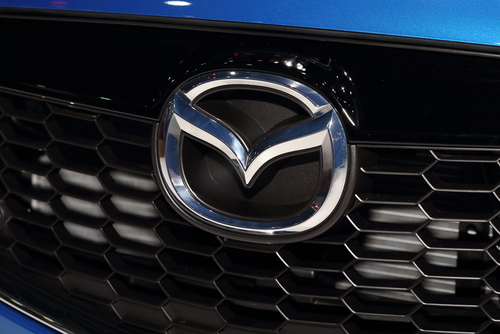 For the first time in Mazda’s history, Mazda automobiles will be manufactured on U.S. soil. That’s an amazing feat, all thanks to the recent alliance formed by Toyota and Mazda to build a new $1.6 billion dollar manufacturing plant in the United States. CardinaleWay Mazda in Las Vegas, your favorite Las Vegas dealer, is just as anxious as everyone else to learn how this collaboration will impact the long-term future of Mazda. We’re confident that only good things will come of the Toyota-Mazda alliance. What’s At Stake For Mazda In The Joint Venture With Toyota? Mazd, though small in comparison to giant Toyota, has long held its ground in the automotive industry. Among its peers, Japanese automaker Mazda is well-respected for its engineering prowess. The new plant will manufacture Toyota’s Corolla sedan and a as yet unnamed Mazda SUV crossover. Toyota and Mazda are expected to share technology. One area that Mazda stands to benefit from this shared technology is Toyota’s knowledge in the area of electric vehicles (EVs). It’s inevitable that EVs will soon become a necessary vehicle on the U.S. landscape in an effort to reduce carbon dioxide emissions. Even though Mazda has stated its plans to move forward with internal combustion engines, we suspect that Mazda will eventually develop EVs. The two auto entities appear committed to their alliance as evidenced by their mutual purchase of stock in each other’s companies. We believe that Mazda stands to gain exponentially from its Toyota-Mazda alliance. We know that some dealerships dislike “lookers” browsing their lots, but that’s not the case at CardinaleWay Mazda in Las Vegas. Our philosophy is to treat everyone as a potential customer and try to ensure that you have a pleasant shopping experience with us. Let our friendly Sales team show off the latest Mazda models on our dealership lots. Take a test drive in the Mazda3 sports car or the three-row Mazda CX-9. Talk to our Financial department about how easy it is to obtain affordable financing. You might be surprised to find yourself driving home in a brand new Mazda! Where did the Summer go? It seems like it was only just the Fourth of July. Now the Labor Day weekend is swiftly approaching, a holiday meant for hardworking Americans. CardinaleWay Mazda in Las Vegas, your favorite Las Vegas dealer, has some great ideas for how you can celebrate! Take A Roadtrip For Summer’s Last Fling? Why not take a road trip over the long Labor Day weekend? Head to the mountains or the closest National Park and enjoy the outdoors. Just a few short hours away from Las Vegas are the incredible Grand Canyons, any of Utah’s National Parks or go to San Diego for a great time at the Zoo. Las Vegas has no shortage of activities and entertainment for you and your family to enjoy. It’s not too late to get tickets to some of the musical concerts or shows. Take the kids to the Neon Museum or the Discovery Children’s Museum. For hiking, go to Red Rock Canyon. 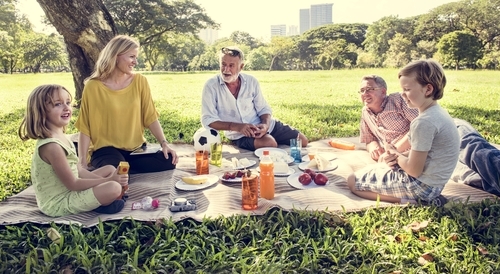 Check with your neighbors and organize a neighborhood block party. Ask everyone to sign up to bring potluck dishes and get some volunteers to man the grill. Don’t forget to plan activities for the younger set—maybe a scavenger hunt or relay games like egg-on-a-spoon or water balloon toss. With a long weekend ahead of you, it’s the perfect time to tackle that home improvement project you’ve had planned for months. Have you been wanting to stain your deck? Install tile backsplash in your kitchen? Get your supplies together and jump right in. Imagine the satisfaction you’ll feel when the project is complete! Holiday weekends are a popular time to go car shopping. You’ll find that many car dealerships offer special deals over the Labor Day weekend. We hope you’ll visit us first at CardinaleWay Mazda in Las Vegas. We’ve got a great selection of affordable Mazda vehicles. From the Mazda3 sports car to the Mazda CX-5 crossover SUV, you’re sure to find the perfect vehicle. Mazda’s “think tank” of engineers has done it again, developing a brand new engine to add to their SKYACTIV lineup. 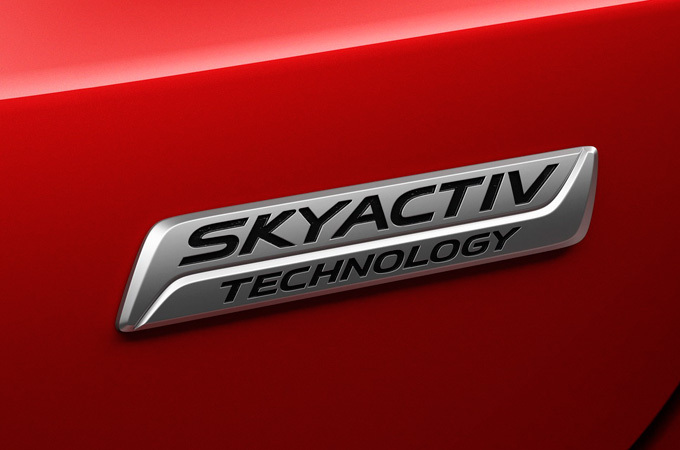 The latest engine has been revealed as SKYACTIV-X, and Mazda is touting it as groundbreaking technology. CardinaleWay Mazda in Las Vegas, your #1 Las Vegas dealer, is excited to learn more about this new engine, set to debut in 2019 Mazda models. What’s special or unique about Mazda’s new SKYACTIV-X engine? For starters, it’s a combustion engine. Mazda has been saying for awhile now that they believe internal combustion engines hold real promise for their future automobiles. A combustion engine works when there is a sparkless ignition of the fuel-air mixture achieved by the compression ignition. What this ultimately means is that it produces an incredibly lean burn, improving fuel economy. Mazda relates that fuel efficiency may be improved by as much as 20 to 30 percent more than Mazda’s current SKYACTIV-G engine. Mazda is on a roll, with so many inspiring developments on the horizon. Always one to look ahead to the future, we’re told that Mazda has launched a new initiative called “Sustainable Zoom-Zoom 2030.” This missive sets forth lofty goals leading up to the year 2030. In summary, Mazda wants to create vehicles that demonstrate sustainability. Finding the balance between the earth and consumers is Mazda’s aspiration. Now is a good time to hustle over to CardinaleWay Mazda in Las Vegas and check out Mazda’s 2017 models before the 2018 models start arriving. Ask our friendly Sales team about our current specials. Be sure to test drive a Mazda and discover the joy of driving. We’ve got a great selection, from the 2017 Mazda3 sports car to the three-row 2017 Mazda CX-9—and everything in between! There’s a vehicle here that is perfect for your lifestyle and budget. If you have acquired a taste for sushi, CardinaleWay Mazda in Las Vegas, your #1 Las Vegas dealer, suggests any of the following sushi bars. The next time you’re craving sushi, head out to a sushi bar near The Strip in Las Vegas and enjoy the culinary adventure! Zuma Las Vegas, located in The Cosmopolitan Hotel on The Strip, will quickly become your go-to spot for sushi. Since it is such a popular destination, you would be well-advised to make reservations. Everything on their menu is incredibly “WOW!” Try their fried squid. OTORO Robata Grill and Sushi, located at 3400 Las Vegas Blvd South, will totally satisfy your sushi craving! The sushi bar is amazing and takes up the entire length of a wall! There is so much to choose from and you won’t go home hungry or disappointed. Katsuya, located at 2535 S Las Vegas Boulevard on The Strip, is the kind of sushi bar that develops a devoted following. It’s an authentic Japanese restaurant and they import their fresh sushi from Japan. Delish! Sekushi Japanese Restaurant, located in the Paris Las Vegas Hotel and Casino on The Strip, is a sushi bar to love! Be sure to order a bottle of Lychee Sake. 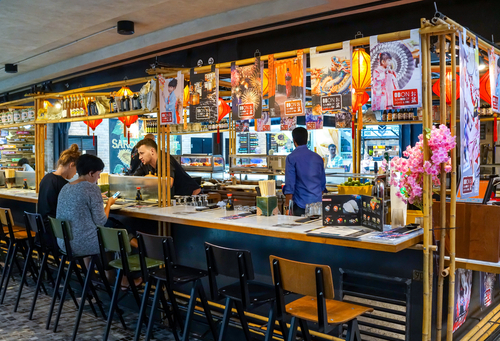 Due to its location, it may be a bit pricier than other sushi bars, but the food is fresh and well-prepared. Morimoto, located in The MGM Grand Hotel on The Strip, has sushi that’s absolutely AH-MAZING! For an appetizer, you might want to try the Foie Gras Uni Oyster. Get your sushi fix here! We’ve listed some great Japanese restaurants in Las Vegas where you can sample delicious sushi. What else is Japanese? 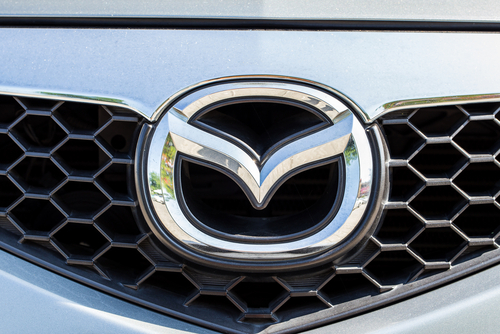 Mazda, the innovative automaker with well-engineered vehicles that go ZOOM-ZOOM! Once you get your fill of sushi, head over to CardinaleWay Mazda in Las Vegas and we’ll be glad to show you around. Check out our great selection of the latest Mazda models, such as the 2017 Mazda3 sports car or the 2017 Mazda CX-5 crossover SUV. Take a test drive in the vehicle of your choice. We’re confident you’ll be hooked! Let our friendly Sales team and Finance department help you drive home in a Mazda today. Excitement Builds For New Toyota-Mazda Plant In The U.S.
News that Toyota and Mazda will jointly build a new $1.6 billion auto manufacturing plant in the United States is generating a lot of buzz. For starters, this is a cooperative effort by Japanese automakers Toyota and Mazda, who will split the cost of building the new plant. It will also mark the first time that Mazda has produced cars on U.S. soil. CardinaleWay Mazda in Las Vegas, your favorite Las Vegas dealer, anticipates that this will have a robust effect on the U.S. economy. The plant will produce the Toyota Corolla sedans and a Mazda SUV crossover destined for the North American market. About 300,000 vehicles will be manufactured annually at the new plant. The new Toyota-Mazda manufacturing plant is not expected to be completed until 2021. There’s been no decision yet on where the plant will be built. This means that states will now begin courting Toyota and Mazda officials for a shot at being selected for the new plant’s building site. The new plant is expected to add up to 4,000 new jobs, so a lot is at stake. No doubt it will mean a tax revenue boost to the city and state that is named as the location for the new plant. The creation of that many jobs will also positively impact the U.S. economy. There’s more than just the building of a new plant by Toyota and Mazda to celebrate. It’s anticipated that the two Japanese automakers will share technology, work on electric vehicles and other projects in the near future. Also worth mentioning is that Toyota purchased 5.05% in Mazda and likewise, Mazda purchased .25% in Toyota. Toyota is obviously a giant in the automotive industry, with Mazda much smaller in comparison. We sincerely hope you’ll visit us at CardinaleWay Mazda Las Vegas. You’ll find that our Sales team is friendly and knowledgeable. We’ll be glad to help you find the perfect vehicle to fit your lifestyle and budget. From the Mazda3 to the Mazda CX-9, we have a car for everyone. We like to think we’re prepared for everything when we get behind the wheel of a car. Fact of the matter is, while driving is relatively safe, there is much that can go wrong in an instant. One such example is when you hit wet pavement and your car hydroplanes. CardinaleWay Mazda in Las Vegas, your favorite Las Vegas dealer, suggests what you can do if it happens to you. 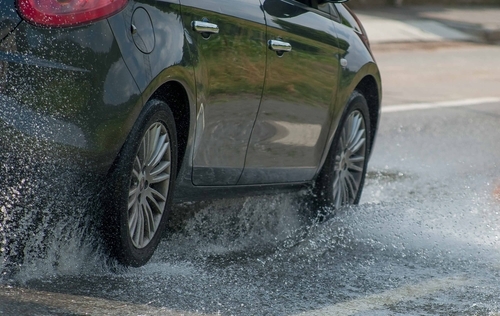 Hydroplaning occurs when a vehicle’s tires aren’t able to scatter an abundance of water on the road surface quickly enough. As a result, the vehicle may lose control of its steering and braking capabilities, creating a skidding or even spin-out effect. Anytime it rains there is a potential for a vehicle to hydroplane. Driving at a fast rate of speed on a wet surface can definitely put you at greater risk of hydroplaning. If you have worn out tires, they aren’t as likely to be able to disperse water adequately and you you’re more apt to hydroplane. Driving in the outer lanes also makes you more susceptible to hydroplaning, as water accumulates faster there. Above all else, do not panic if your vehicle starts to hydroplane. Keep a clear head and try to relax. Ease up on the accelerator, avoid braking and try to steer the car in the direction it is going. Avoid slamming on the brakes or accelerating as this will only make things worse. You don’t want to experience a full-blown hydroplaning situation where you spin out multiple times, possibly into oncoming traffic. Hydroplaning can lead to serious auto accidents. To reduce your chances of hydroplaning, the best tip is to always make tire maintenance a priority. Check that your tires are properly inflated and that the tire tread is not worn. Bring your vehicle to CardinaleWay Mazda Las Vegas and our Service department will be glad to provide tire maintenance. We’ll rotate your tires as needed and if you need to replace your tires, we have a wide selection of tires to fit every vehicle. Everything you need for all your auto maintenance needs is right here at CardinaleWay Mazda Las Vegas. Our Service technicians are highly trained and we provide them with only the best equipment to service our customers’ vehicles. When you’re in the market for a vehicle, check out our dealership lots. We have all the latest Mazda models, from the 2017 Mazda3 sports car to the family-friendly three-row 2017 Mazda CX-9.